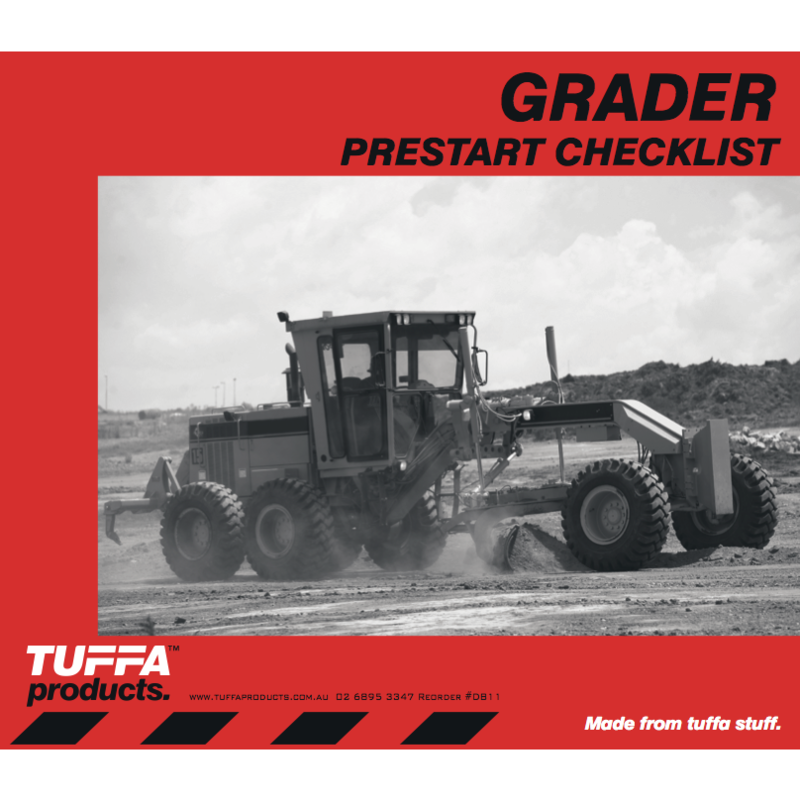 Implement a Grader Prestart Checklist Book from TUFFA™ Products to ensure your machinery is in safe and working condition. 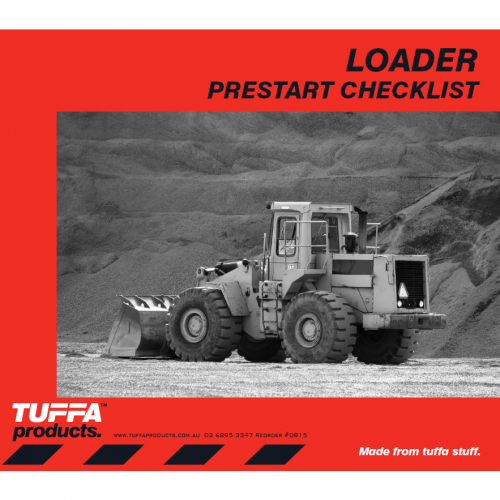 Our standard Grader Prestarts have worker instructions for before starting the engine and also after start up. 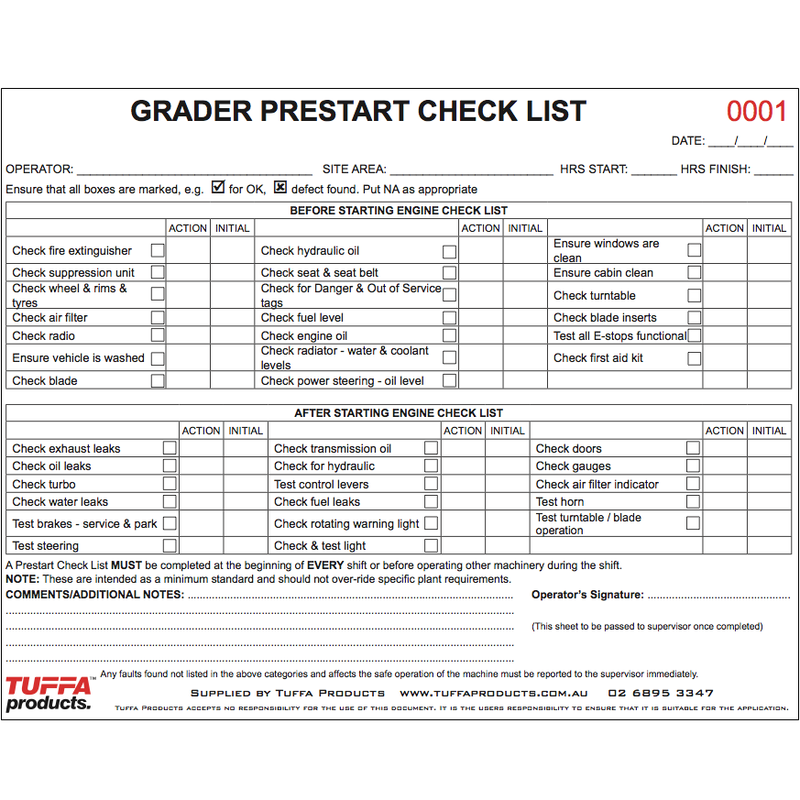 A prestart checklist must be completed at the beginning of every shift. For bulk orders or to customise your own PreStart Books please contact us on 02 6895 3347. 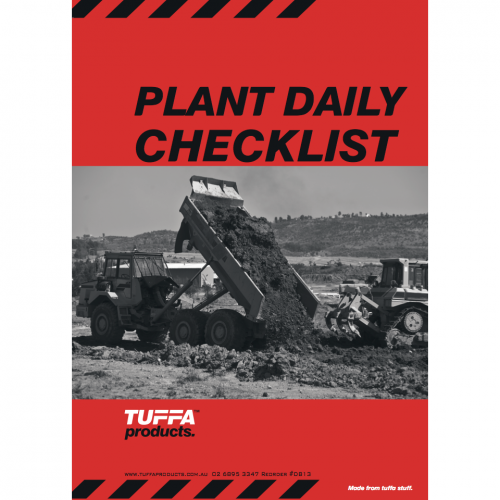 When purchasing TUFFA Products through our website, we offering secure credit cards payments through eWay.